Market leaders are always in a peculiar position. Always faced with the daunting task of keeping their position, Often than not, they lose track of what got them to the top and end up as laggards in the Industry they once dominated. In other words they become victims of Brand Arrogance. Take Hindustan Motors (HM) the makers of the iconic ‘Ambassador’ for example today they are a shadow of their former self. But up until the mid- 80’s the only challenge for Hindustan Motors was coming from Premier Motors and a substitute competition from Bajaj scooters. But then the arrogance steeped in and HM never thought of providing what customers wanted and slowly but surely slipped into oblivion. Twenty years later, another auto company is going down the same route and this is actually a surprise. When Honda entered India, it was with a bang. 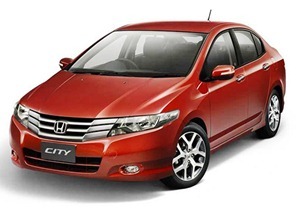 They had brought in a popular car that was in many ways built for Indian roads, the Honda City. In the early 2000’s it used to be a matter of pride to own and drive a Honda City. City ruled the roads in its segment for many years but soon the Customers were looking for a change and Honda was not listening. They released a Civic as a logical upgrade but that did not have many takers. Honda Accord was too expensive for most. The Honda Jazz though a very good car was definitely over priced for its segment. And after losing much of the market share Honda finally launches the Brio one of the cheapest cars in its segment. But in my opinion it is a little too late. The Brio comes in at a time when the market is flooded with cars, and also with petrol only variant when the Petrol prices are at an all-time high. Further Honda cuts the prices on the Jazz and City, an act that it has never done. It is not difficult to figure out what the result would be. So how can a market leader avoid brand arrogance? I believe there are three simple steps in which a good brand can keep its ears open and be cognizant of what the customers are saying. Often brands go into a ‘speak only’ mode and even use their communication channels to only broadcast. They often stop listening and taking in any feedback from customers and prospects. I once recently overheard a Honda official calling the City a luxury car. I was really amazed at that analogy, it could have been 10 years ago but now with every second car being a sedan, the concept of luxury in India had become an Audi or Bentley. A quick check on the Honda India Twitter account shows just 240 odd followers and 740 odd tweets. In a piece earlier I had discussed what lessons Marketers can learn from Volkswagen. Currently Volkswagen India has about 5000 followers and has been present in India only in the last two years. Also Volkswagen is running a contest which is in sync with its marketing campaign for Jetta called ‘anything4jetta’. Brands should always strive to build a community and engage the same to bolster themselves. A good example to this effect is Apple which over the years has built a strong community of Apple fanatics who would not hesitate from paying the price for an Apple product. Honda has traditionally been strong at R & D. Hence it should continue doing the same rather than trying to reduce the price and get into a very dangerous price war which its competitors like Suzuki and Hyundai. I feel what Honda should have done earlier was to dazzle existing customers and prospects with its technology by bringing out cars with advanced features that the Consumers are seeking. Volkswagen did introduce many new features on the Vento and stole the march over Honda. In conclusion I feel that most brands, when they get into leadership position, forget about the very attributes that got them there. This situation is not endemic to Auto but can be seen across Industries. It is the role of the marketing managers to ensure that Brand Arrogance is kept away and customers are always the focus of a brand whether it is a leader, challenger or niche player. Thank you Achyuthan I am glad you liked the article. With international standards available at an affordable price Honda’s launched had been welcomed enthusiastically and this deflated the balloon of pride in the company. But demands change with the passage of time, sticking to just one strategy would not be a good option and especially when the customers are expecting a change. With the increased competition the leader will be anyone who values its customers and will surely succeed. Thank you for the comments James and I agree with you. No matter how big the brand is, once they stop listening to the customers the fall is imminent. And most people are aware of it but still leaders become victims of Brand arrogance. I agree Arun, we might be a developing nation that does not mean that we are stupid. Also I think Indians are traveling around the world quiet a lot and they are aware of all the global luxury auto brands. Chevy is doing a great job and also so is Ford. Both are playing it very smart. Honda has a big mountain to climb now. An excellent article and an equally good discussion. Coming to the point of Ambassador, I wonder why the brand image Ambassador commands in India can not be cashed in? They can redo the technical things like engine, transmissions, electrical gadgets to make the interior look ultramodern, but keep the exterior shape as it is (infact when west cars in 60s to 80s had linear outlines, Ambassador has curvy, aerodynamic shape which is good for fuel consumption). They can take the example of Volkswagon Beatle which was revived after decades with good success in West. My point is that without actual sales numbers it is difficult to digest Honda’s brand arrogance (if there is any). As far as i am concerned, Honda City remains the most visible car in every office/mall parking space that i come across. The Point author is trying to make is simple – Listen to your customers… and I tend to agree with Vikram and specifically the reason I say is because of “Honda Jazz”. That dented Honda’s reputation more than anything. They were not able to sell more than 500 Jazz’s last year. Imagine a Hatchback with 8 Lakh price tag – Thats criminal – thats arrogance for you. Honda brand was (and it is still) big in India. They thought they can cash purely on the brand value and hence kept it so high…which is plain wrong..
Do you know Jazz prices have been reduced over 1.5 lakh rupees since its launch..officially I think it is close to a lakh… If they can do it now…why did not they do it earlier… thats arrogance for you..
Aha, i was not aware of this particular piece of info. It would have made sense for them to listen in to what the market is saying and figure out the pricing dynamics in a better way. I somewhat agree with your comments but like what Arun said, If they had to drop the price then why not earlier? Why not pass on the benefits to their loyal customers? I feel Honda has just forgotten their roots. Nowhere in the world is Honda a luxury car, if they feel Honda is a luxury brand then why have a upmarket brand called Acura? I feel at some level they thought that India as a market will accept them as a luxury brand but as more Indians are traveling abroad the perception has changed and the market demands more out of brands than they ever did. Very well said – Thats what exactly I want to point out. I had a Acura Coupe when I was living in U.S and that basically is what Lexus is to Toyota – The premium brand. But with Indians, what Honda did was, tried to take us for a ride…. They presented Jazz as the luxury hatch back and super premium price…where same features were available with other brands were available at 40% cheaper.. I think, Chevy is playing its card very well at this point of time – They surely are listening to consumer… They have launched the Diesel version at the right time at the right cost..